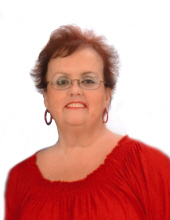 Terri Ann Foster, 54, of Killeen, Texas, formerly of Crab Orchard, Kentucky died Wednesday, November 14, 2018 at her residence. Terri was born in Mt. Vernon, KY on June 14, 1964, a daughter of Patty Sue (Chasteen) Baker and the late Gary Wayne Baker. She was a loving mother and homemaker. To send flowers or a remembrance gift to the family of Terri Ann Baker Foster, please visit our Tribute Store. "Email Address" would like to share the life celebration of Terri Ann Baker Foster. Click on the "link" to go to share a favorite memory or leave a condolence message for the family.